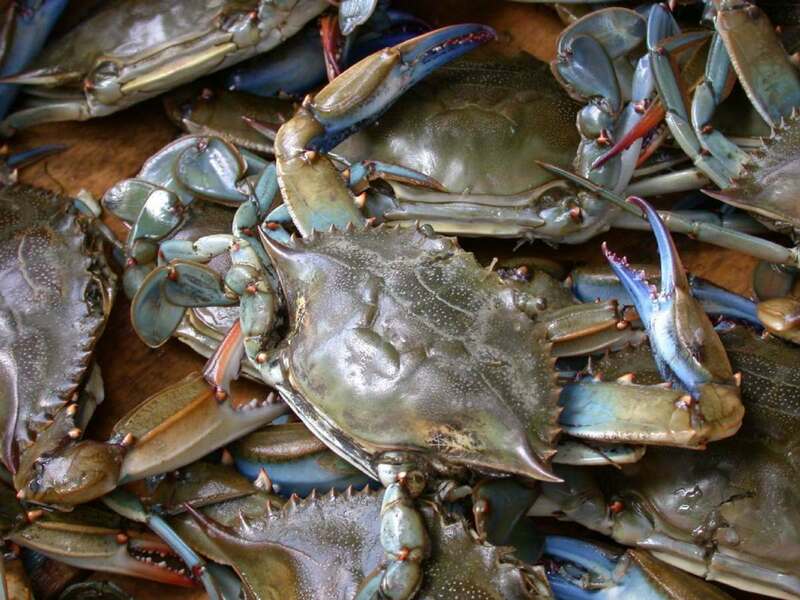 The meat of the blue crab is considered by many to be the sweetest and best tasting of all crabs. You won’t get the large sections of meat that you get from the king crab or the snow crab, but the flesh from the blue will be tastier. Also, you won’t have to pay the high prices demanded of the larger species – you can catch plenty of blue crabs on your own, for free! You can find some great crab recipes just begging for your attention! 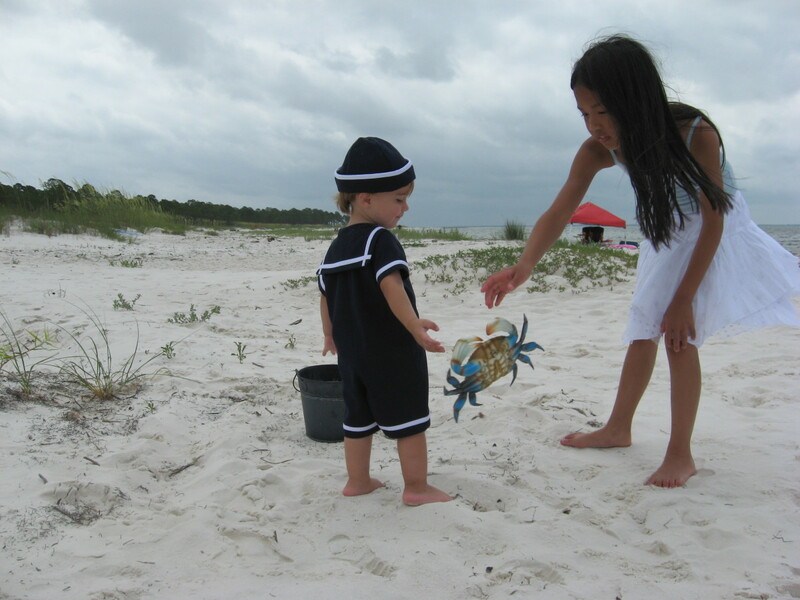 Crabbing is fun and easy, and it’s a great activity for kids. Before you get started, check with the state’s laws regarding crabbing. You can find this information on the internet, and it will tell you about any closed seasons, daily limits, and size requirements. All of my crabbing has been done in Florida and Georgia. 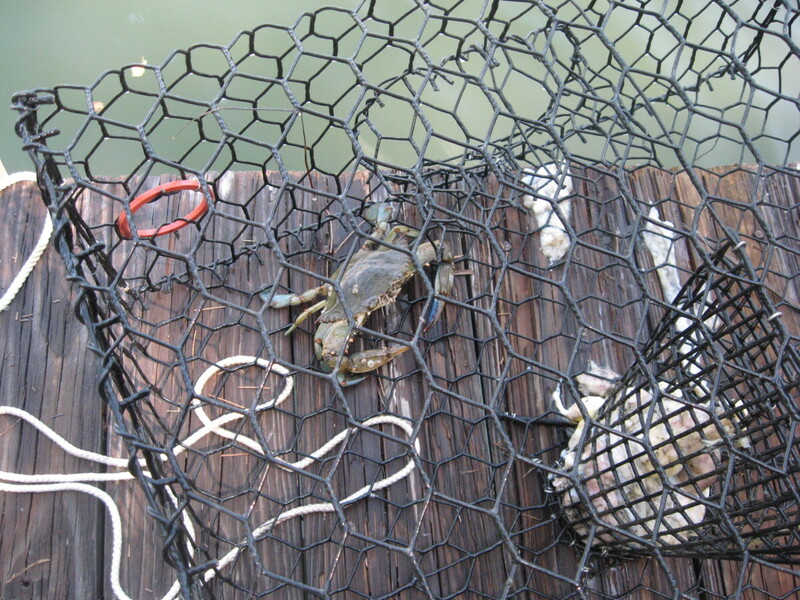 In Florida, crabbing can be done all year from shore during daylight hours, and there’s no minimum size. 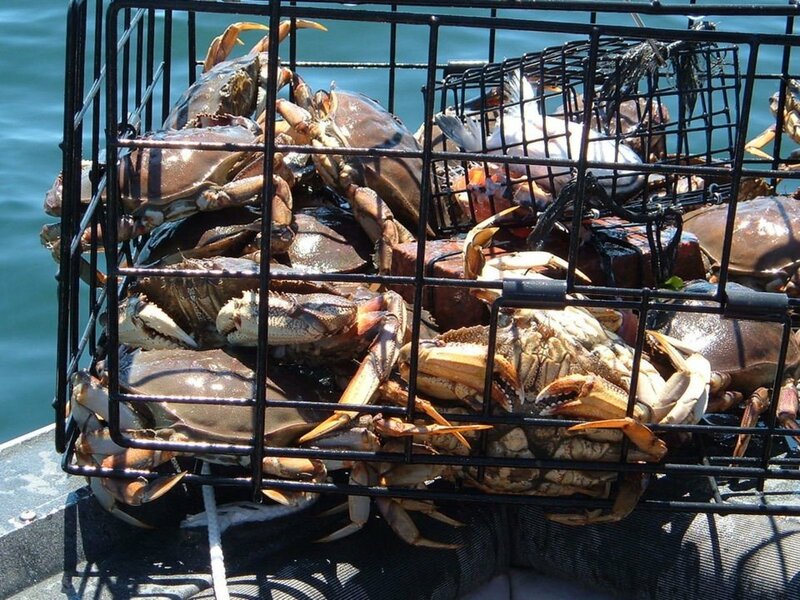 Traps are limited to five per person, and the daily limit for crabs is 10 gallons per day per harvester. Recreational crabbing in Georgia can be done 24/7, all year, except for a few short regional closed seasons. Crabs must measure at least 5 inches across the back, from spike to spike, except for adult females, which must measure 3 inches. 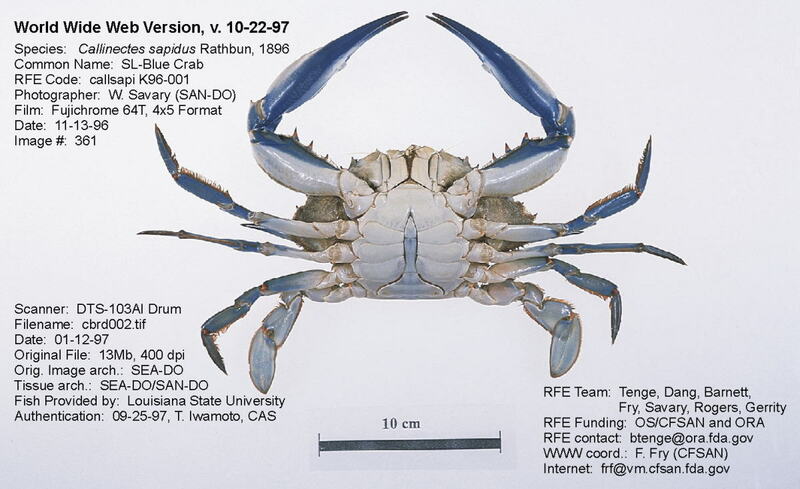 Peeler crabs must also measure at least 3 inches. The daily limit is one bushel of whole crabs. In all states, it's illegal to keep egg-bearing females. So how do you know if you’ve caught a male, a mature female, or a crab with eggs? 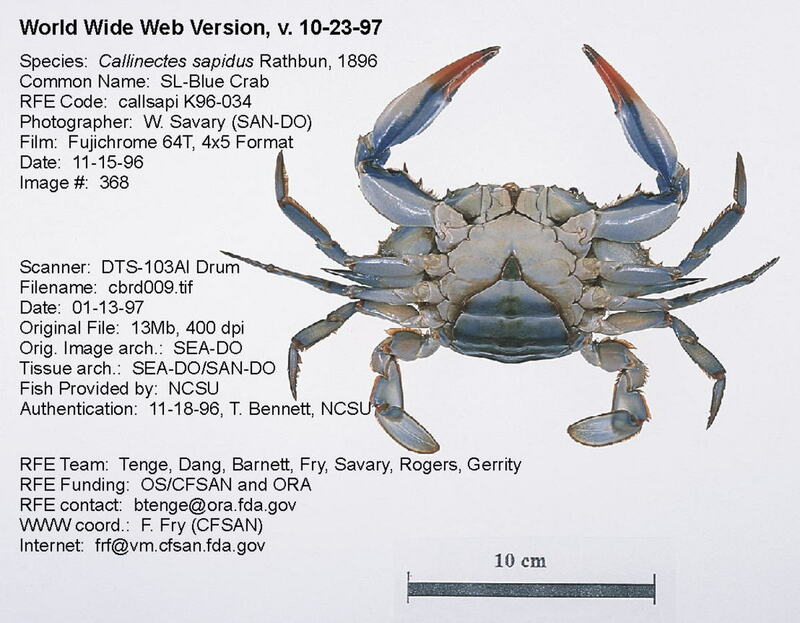 The male blue crab is called a “jimmy.” The apron on its underside will be narrow and pointed, like the Washington Monument. 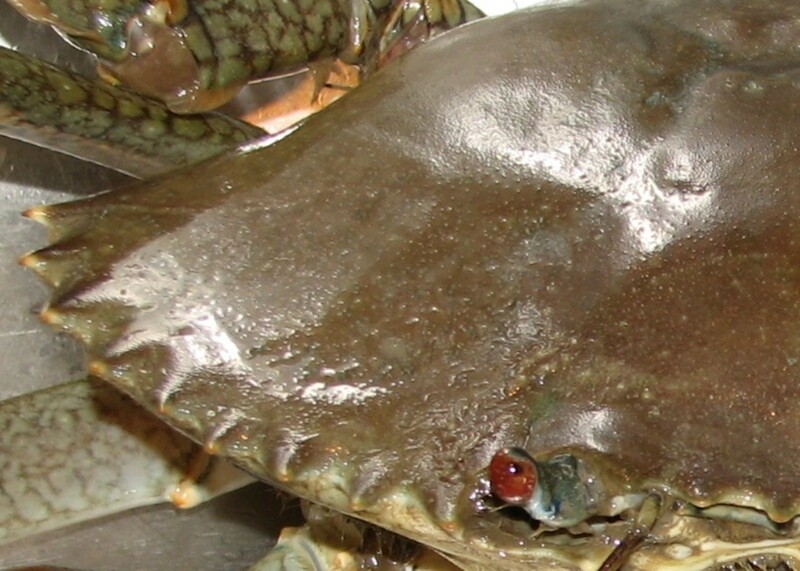 The mature female crab is known as a “sook.” Its apron will be dome-shaped, like the U.S. Capitol. The tips of its claws will be red. An immature female, called a “sally,” will have a triangle-shaped apron. Females with eggs are easy to spot. It looks like they have a sponge attached to their underside. ALWAYS return these to the water, unharmed. Ready for some crabbing now? My kids and I have caught blue crabs using a number of methods. Sometimes while we’re playing in the surf, we’ll spot a crab and catch it in the dip net. We’ve actually caught our limit this way while walking along the shore of a bay or tidal river. You’ll usually need to entice the crabs, though. To do this, tie a chicken neck, leg, or back to a piece or cord and toss it into the water. When you feel a tug, SLOWLY retrieve the chicken part. When you see the crab, scoop it up with a net. Round traps: These are very inexpensive and are made of wire and string. Tie a chicken part or a fish to the bottom of the trap and drop it into the water. The trap needs to have a weight attached to ensure that it rests on the bottom. Every 20 minutes or so, slowly lift the trap to check for crabs. If you have one, carefully lift it to retrieve the crab. Pyramid traps: These traps are made of metal. When they rest on the bottom, they open up. When you pull the attached cord, the pyramid sides of the trap close, trapping any crabs inside. These traps are a little more expensive than the round traps, but they last from year to year. Use them the same way you use the round string traps. Box traps: These traps are made of metal and are rectangular in shape. They’re more expensive than the above traps, but they’re easier to use. You can bait one of these, toss it into the water, and leave it for a long period of time without checking it. Once the crabs are in, it’s difficult for them to escape. 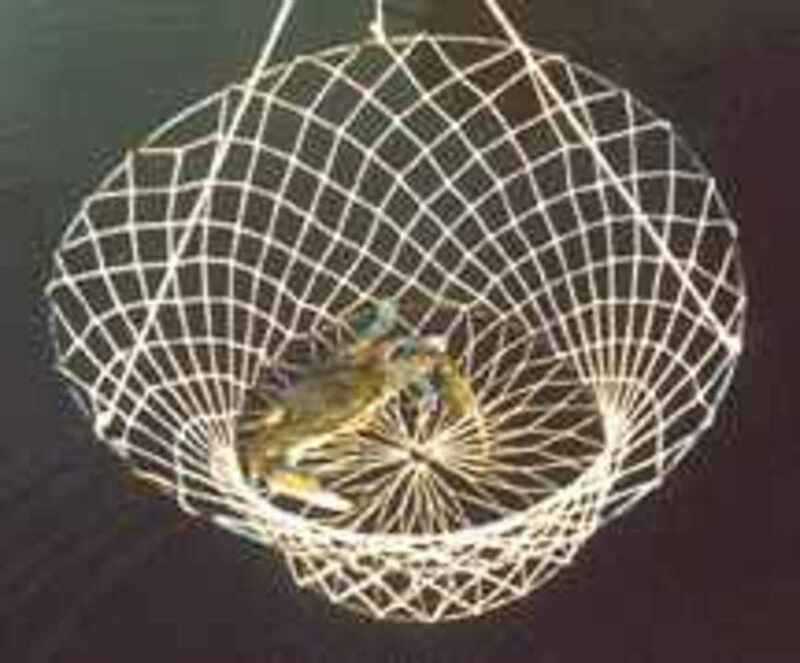 Another way to catch crabs is with a seine net. These come in different lengths. For a short net, you’ll need 2 people. For a longer net, you’ll need an extra person, in the center. To use a seine net, form the net into a shallow U shape, making a pocket. The person at the far end needs to wade into the deeper water and walk ahead of the person in the shallows. He needs to bring his end around, surrounding anything in the net. While the net is being dragged, be sure to keep the lower section of the net on the bottom. While you’re seining, there’s no telling what you might catch! You might ensnare mullet, redfish, flounder, trout, and whiting, along with crabs. When you’re retrieving your crabs from the net or trap, be careful. If you’re not experienced handling the armed critters, use a pair of long-handled tongs to pick up the crabs. Even a small crab has amazing strength in its claws. I still bear a scar on my thumb from a pinch I received years ago. Also, it’s important to keep your crabs alive until cleaning and cooking. Keep reading: below the crab traps, you'll find some recipes and videos. Justin, we've caught them at all different times of the day, but it seems we've caught more at night. Try that. Thanks for reading! hi my name is justin i live in south florida and i just started crab fishing is there a time when the crabs come out to feed because i was out at a great crabbing spot and i had it all to my self but the crabs would just hide in the rocks i beleive it was low tide at 2 or 3 in the afternoon please someone comment back i need information i want to catch some blue crab!!! Drew, you should try it! I would love to do this! Seafood is the best! They're awesome, Contentmaster! Thanks for reading. Thanks for stopping by, Socit! Thanks, HH. I love just about anything to do with the ocean! Hi, Zsuzsy! I'm with you, pal - those pork chops I'm thawing for dinner don't seem so great now! Wow Habee, this is something I'm going to have to put onto my To-do-before...list. I love, love, love blue crab, yum. Hello, habee, you are pool of information and I enjoy reading and learning so much from your hubs. Thank you.